The 2019 Ford F-150 is a fresh take on the beloved tradition of a powerful workhorse vehicle drivers have trusted for years. Taking on past generational successes and innovating features across the board, the Ford F-150 brings together an impressive package, inside and out, that is sure to delight drivers. The 2019 Ford F-150, with a starting MSRP of just $28,155, offers some of the best value in its class. There are a variety of trims and models for the pickup that bring additional amenities and features to those that desire a bit more, with the pricing increasing respectively. The well-rounded Lariat trim starts at an MSRP of $41,700 and the top-of-the-line Limited is listed at a starting MSRP of $67,135. 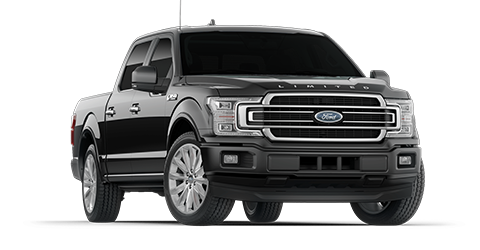 To learn more about the new Ford F-150 and everything it has to offer, visit our Ford dealer near Grand Rapids, MI and speak to our friendly sales staff today. The Ford F-150 has consistently set the bar in the pickup truck class by offering the utility and versatility needed to get the job done. Meanwhile, the Ford F-150 delivers best-in-class stats in several categories and offers some of the most powerful engine options available. The base V6 engine that comes standard is enough power for those looking for a daily driver, but the fun only starts there. With available turbo diesel V8 or 3 turbocharged V6 engines, various trims offer different options for drivers looking for more capable towing and hauling. The numbers speak for themselves with the new Ford F-150, and there’s no denying it’s powerful prowess when you look at them. When it comes to maximum capacities, the 2019 Ford F-150 is able to haul nearly 3,300 pounds, and it can comfortably tow a massive 13,200 pounds when properly equipped. Don’t judge this book by its cover. This rough and rowdy pickup provides some of the most innovative interior features and offers one comfortable cabin space for drivers and passengers alike. The 2019 Ford F-150 seats up to 3 people in Regular Cab models, but in SuperCab and SuperCrew® models, the truck seats up to 6 people comfortably. This comfortable interior gives impressive space to everyone in the front and rear seats, and it never feels cramped, which is a remarkable feat for a pickup truck. The interior quality materials are top-notch, and everything feels highly functional while maintaining a premium aesthetic. Beyond the cosmetics of the interior, the Ford F-150 also can be equipped with a 5.5-, 6.5- or 8-foot truck bed, giving various levels of versatility and cargo space to meet all of the possible tasks you’ll conquer in this year’s pickup. When it comes to offering the best overall package possible in a vehicle, priorities need to be clear. The Ford F-150 makes every effort possible to ensure that drivers – and their families – are protected at all times. Through innovative safety features and technologies, this powerful and versatile pickup has gotten recognition for its efforts and comes backed by fantastic warranties as well. The 2019 Ford F-150 comes equipped with automatic high beams, forward collision warning, automatic emergency braking, and a rearview camera across all models. These technologies work cohesively to offer additional layers of safety and convenience when navigating the roads, pulling out of tight spaces or even offering extra safety when drivers might not be at their peak level of alertness. Don’t take our word for it, the 2019 Ford F-150 earned a 5-star overall crash-test rating from the National Highway Traffic Safety Administration (NHTSA). 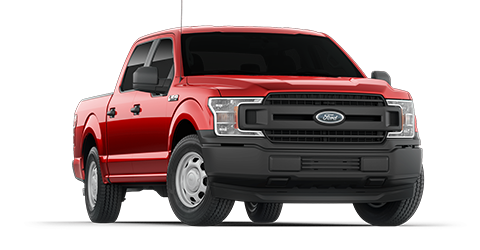 This cements the Ford F-150 as one of the safest vehicles in the marketplace for pickups. Beyond that recognition, every new Ford F-150 comes with a 3-year/36,000-mile warranty and a 5-year/60,000-mile powertrain warranty. These warranties add a sense of peace of mind by offering drivers the knowledge that their new pickup is covered from top to bottom for quite a long time. Zeigler Ford of Plainwell has been the trusted Ford dealership Grand Rapids, MI drivers trust for all their sales and service needs. The friendly sales staff are happy to answer any questions you might have about the Ford F-150 or any other vehicles on the lot. Your customer experience is simply enhanced from the very first visit to Zeigler Ford of Plainwell. The knowledgeable service technicians on staff make sure that your pickup is taken care of, from the first step into the shop to every time afterward. Don’t wait, Visit us today to see what all the fuss is about!